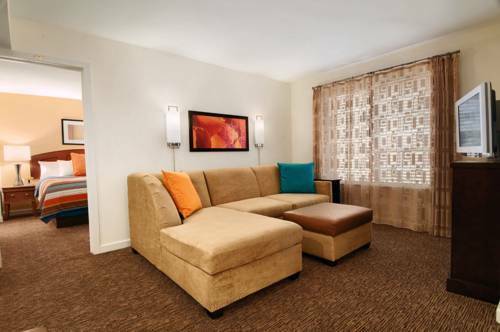 The Hyatt House is located a two-mile free shuttle ride from the airport. 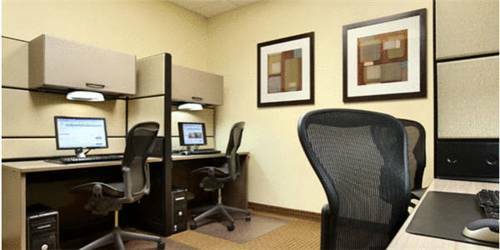 The hotel also offers a free shuttle to offices and shops within a two-mile radius. Fans of outlet malls can head to Dolphin Mall, seven miles west of the property and home to 240 retailers, Bayside Marketplace is seven miles east on the downtown waterfront. The day is long and sunny on the beach, and the nights are always young in South Beach, a 10-mile drive. This three-story property has 156 soundproofed guest suites, all featuring plush Hyatt Grand Beds and fully equipped kitchens with refrigerators, stove/ovens, microwaves, coffee/tea makers and dishwashers. Pull up the covers or lounge on the sofa and watch either of the large flat-screen TVs with high-definition channels and DVD players. Check out the ball scores or stock market reports on your laptop. Wi-Fi is free of charge throughout the property. Fun in the sun and a swim in the water can be had in the heated outdoor pool. A spa tub is adjacent. Here's something you don't see every day - the hotel has its own barbecue grills available to guests. Stay fit in the Hyatt's signature 24-hour fitness center. Morning brings the Hyatt's free hot and cold breakfast buffet. When evening comes, there is a complimentary manager's social with beverages, beer, wine and appetizers. A 24-hour convenience store and free grocery shopping service are also available. Parking is on the house. 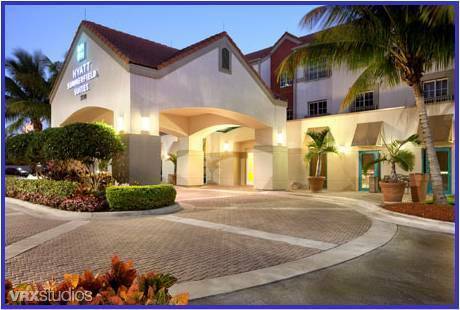 The "excellent breakfast" at the Hyatt House Miami Airport is a special treat for Priceline guests, who rave about the "large, comfy rooms" and the "friendly, helpful staff" at this "amazing hotel."